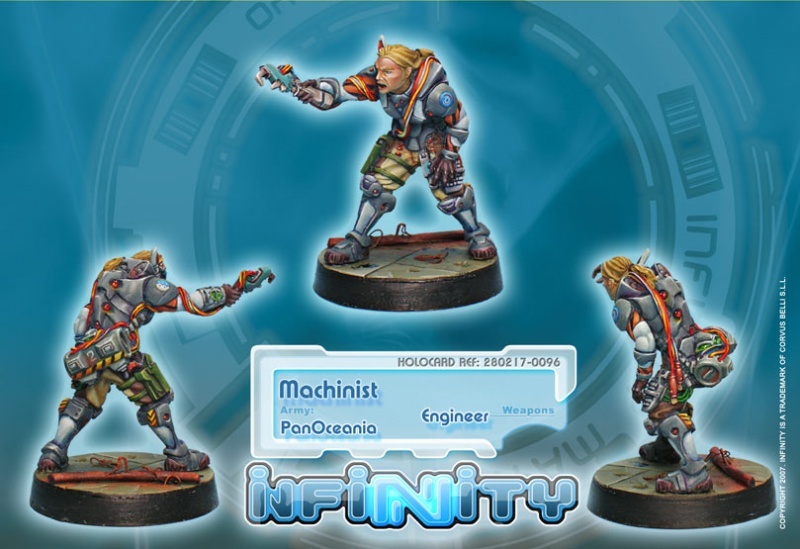 Machinists In an army as high-tech based as the PanOceanian, expert maintenance engineers and technicians are vital in times of war. The Machinists are fully trained to carry out repairs while the army is on the move and to keep the war machines in top condition. 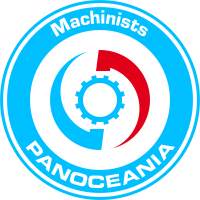 Thanks to them, PanOceania is able to maintain its technological superiority even during prolonged campaigns and when the front line is far from supply lines. Their nano-tools are the best available and all their equipment is cutting-edge technology, the envy of the rest of the Human Sphere. To facilitate their work, they have at their disposal a sophisticated system of audio-visual transmission integrated into their tactical visors. The Machinists are linked up continuously with the main base, from where they receive technical assistance, information and planimetry enabling them to know with precision in which part of the battle zone they are required. They are all highly qualified technicians, many to a superior level. The designation-key “Machinists” describes the kind of relationship they have established with the machines, which they treat almost as if they were living beings. 1 Shock Army of Acontecimento Sectorial only. This page was last modified on 7 December 2018, at 06:29.